* FAAN MD/CEO-Engr. Saleh Dunoma pays condolence visit to the NAIA-Abuja Ethiopian Airline management today . In his company is the Regional Manager /Airport Manger, M.L.Sani . The management of Ethiopian Airlines in Nigeria has opened Condolence Registers at their Offices in Abuja, Lagos, Kano and Enugu. This is for the victims of the ET Flight 302 that crashed on the 10th of March 6 minutes after take off. 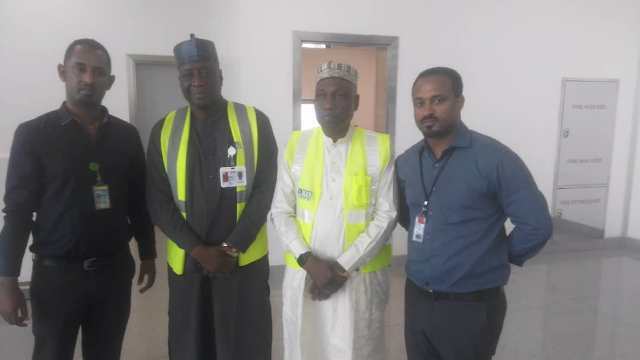 At Abuja Airport the MD of the Federal Airport Authority Engineer Saleh Dunomah was received by the Ethiopian Airlines Sales Manager Abuja Tilahun Tadesse. Two Nigerians were involved in the crash: Professor Pius Adesanmi and Ambassador Bashua Abiodun. Ethiopian Airlines meanwhile has grounded all B737-8Max Airplanes in its fleet. Ethiopian Airlines does not use the B737 Max on its Nigerian Routes. The B777, B787 Dreamliner and the Airbus A350 are the Aircraft deployed daily to Nigeria. 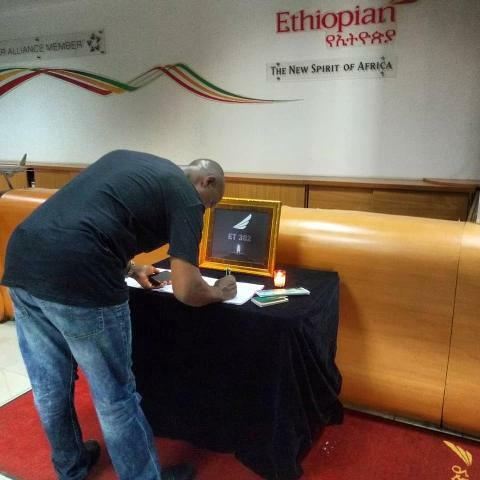 Be the first to comment on "Ethiopian Airlines Opens Condolence Register In Nigeria"